We provide psychology students, graduates and people who are passionate about global mental health with the opportunity to gain valuable, practical psychology work experience at the same time as being immersed in a unique and exciting culture. Fill in this form and...presto! We'll magic you over all the info you need about what we do and how you can be on your way to gaining hugely beneficial psychology work experience at the same time as seeing some of the most stunning sights in Asia. Why Gain Psychology Work Experience Abroad? Our organisation was founded by psychology graduates, so we understand better than anyone how tough it can be to get psychology work experience that will set you apart from your peers. With psychology being one of the top subjects of study for university students worldwide, competition for opportunities in the sector is fierce. We know that employers and higher education institutions value hands-on psychology experience most, which is why we've designed our placements to give you a realistic insight into working in global mental health. Our placements promise work experience for psychology students and graduates, which means they are challenging but also massively rewarding. Our placements help to equip you with the skills you need to carve out a successful career in the mental health sector. As we’re sure you know, careers in psychology and in mental health are incredibly diverse. This is why the work experience we provide is varied. Through working in various settings, like psychiatric hospitals and residential centres for people with different specific needs, we aim to give passionate, dedicated future professionals like you the chance to put your knowledge into practice by promoting positive mental health in communities abroad who are most in need of extra support. Former SLV.Global team members have entered the workforce post-placement at every level from Assistant Psychologist to Behavioural Interventionist and, of course, many have gone on to complete various Masters degrees and Doctorates. Go on and check out their stories below, and if you get inspired, why not apply today? What have you got to lose? What is Psychology Work Experience? We all have to start somewhere, and we often get people asking us how to get psychology work experience. The truth is there is not just one way and most of us at SLV.Global began our volunteering journeys working in elderly care homes and at centres for people with brain injuries or specific needs. Your first position working with vulnerable individuals is unlikely going to be as an Assistant Psychologist! However, the more you volunteer, the more likely you are to be snapped up for those elusive psychology jobs, as your CV will stick out for all the right reasons. We at SLV.Global understand how difficult it can be to get psychology work experience as a psychology student. However, through psychology volunteering or a psychology internship, it is possible - it just may not be the position you’ve been dreaming of or that’s most obvious to the field of psychology. This is one of the main reasons we created this organisation. We wanted to provide opportunities for passionate psychology students and graduates like you to gain psychology work experience abroad that is challenging and relevant to your future goals. However, we also feel it’s important to commit to your local community too. So whether you’re looking closer to home or further afield, there are psychology-focused opportunities out there, you just need to know where to look. What is Relevant Work Experience for Psychology? Gaining relevant psychology work experience is something that every Psychology student wants. But what is “relevant” psychology work experience? If you were to look at the careers that most people with a psychology degree selected after graduation, you would find that many of them, despite what their original goals were, ended up working outside of a clinical environment. According to Prospects (2015), around 17% of Psychology graduates go into the service industry with nearly the same amount going into teaching and working with children. Our mental health placements abroad are varied for this very reason. We know that everyone wants to get clinical psychology work experience, but not everyone will end up going the clinical route, and we want our placements to be valuable no matter which direction you choose to go post-graduation. From teaching to working with individuals with special needs and with at-risk youths, it’s all relevant to a future in psychology. So relevant, in fact, that these types of careers are chosen in huge numbers by psychology graduates. Here are a few of the most popular choices of work experience for psychology students and graduates. Clinical psychology work experience is highly desirable for many psychology students and graduates, as this area is highly competitive. Although it is unusual to find a clinical psychology work experience placement as an undergraduate, all of our mental health placements include working hands-on in a clinical environment with services users. This is in addition to promoting positive mental health in other settings like schools and centres for those with additional needs. We offer a unique opportunity to gain clinical psychology work experience at the same time as improving your knowledge of global mental health and our capacity to work cross-culturally. All of these skills will really help you to stand out amongst the crowd when it comes to applying for sought-after clinical positions. One area of working in the field of psychology that is often overlooked is working with the elderly. We are an ageing population and there are many pensioners who could benefit from a cup of tea and a chat with someone right now. According to Age UK (2016), the UK’s largest charity focused on the needs of the elderly, “half of all older people consider the television their main form of company.” This is a heartbreaking statement, but is the reality of so many older people in our society. Combating isolation and improving socialisation are two ways you can improve the life and mental health of a lonely elderly person. Many psychiatric facilities have geriatric wards and any experience working with older people will surely enhance your CV and your skillset. All of the psychology work experience we provide, whether for students or professionals, involves working with elderly individuals. Whether it’s physical activities like yoga to help keep the body strong, or creative projects to exercise the mind, time spent with older individuals is not only a benefit to your future career, it’s benefit to society as a whole. On the other end of the age spectrum, working with children can often have a mental health focus, especially with children from difficult backgrounds. Just because you’re not sat in a room one on one and discussing trauma, doesn’t mean that you’re not facilitating healing in a different way. Volunteering at an after-school program is a great way to work with children of all ages and from various socioeconomic backgrounds. Building up confidence and self-esteem that has been worn thin from abuse or neglect is a big job and it’s something our volunteer teams do every day in Sri Lanka and in Bali. The ability and desire to treat children with kindness and empathy is a skill. So please don’t assume that because you’re making a giant collage out of foamy sea creatures, or working through the alphabet that you’re not actually making a big difference to a child’s self-esteem and overall well-being. Yes, even teaching, which some may argue isn’t at all based in psychology, can have a psychological focus. Motivating young people can be difficult, as can creating a lesson which is appropriate for all abilities and ages. This focus on inclusion and teamwork absolutely fits into working in mental health, especially adolescent mental health. Educational Psychology is a field for a reason after all. The psychology of learning and what impacts and impedes learning is endlessly fascinating. What better way to experience this than by working in a classroom yourself? There are plenty of opportunities to volunteer as a tutor or as a befriender, working with a child living in poverty or with a difficult past. 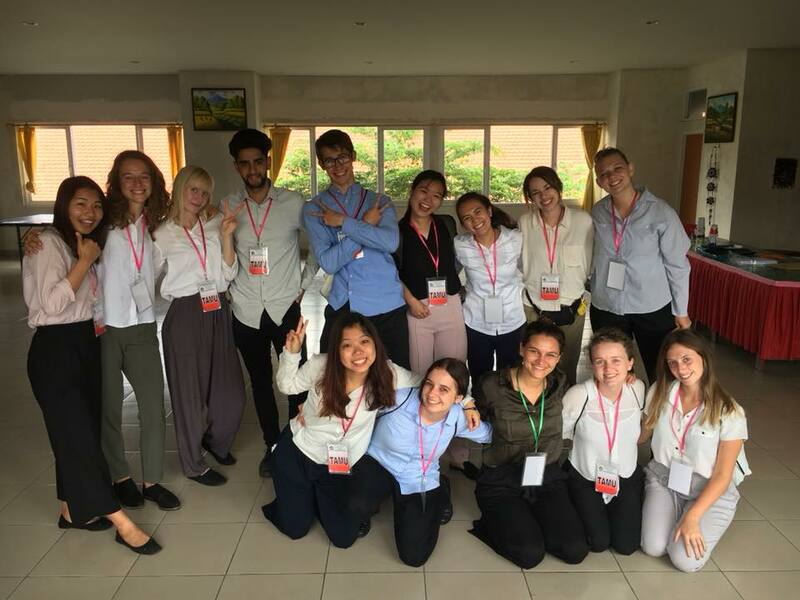 All volunteers on our placements abroad teach for at least three of their weekly projects to hone their communication and presentation skills as well as to work closely with the youth in both Sri Lanka and in Bali. We know that these projects benefit the volunteers as much as the service users, and we find that although at first volunteers may be slightly nervous to step into the classroom, they often report back that this work experience was their favourite. Working with individuals with additional needs is also incredibly relevant to a career in the mental health sector. There are many people with learning disabilities and brain injuries residing in psychiatric facilities worldwide. Failing to acknowledge this client group is a massive oversight and the more experience you have working with people with different specific needs, the more desirable your services can become. This is hard work, but incredibly rewarding. You need patience and must be even-tempered, but the rewards can’t be overstated. All of the psychology work experience we’ve listed above can be gained in your home country, and our advice is to always work at home before heading abroad. However, committing yourself to a psychology internship or placement in another country gives you the experience you’re after as well as extra benefits you may not have even considered. Working in a cross-cultural environment exposes you to complex cultural norms and unfamiliar societal structures, some of which will be very much at odds with your own belief system. Working without judgement and considering that there isn’t always just one way of doing things improves your problem-solving skills and also increases empathy for others who think differently to yourself. Gaining this psychology work experience abroad pushes you outside of your comfort zone. From the extreme weather to the very basic living conditions, you are forced to work effectively whilst also battling occasional discomfort and trying to acclimatise to incredibly different surroundings to what you may be used to. You need to be up for challenging not only your physical self but your emotional core as well. As you may have noticed, our idea of “relevant” experience is quite varied and we suggest you try your hand at a few different things and see what you enjoy the most. Don’t feel like you have to commit to a future without testing it a bit first. We love hearing from previous volunteers who contact us letting us know that they are changing their focus to teaching or to SEN after they finish their work experience abroad with us. We also love to hear from volunteers who have gone on to do a clinical doctorate or a who have obtained a psychology job like an Assistant Psychologist post too. But the fact that we hear from both in nearly equal measure means that we’ll continue to advocate for the less traditional paths to a career in psychology. We want you to think outside the hospital, especially if that’s where you’re hoping to build your career. All of our SLVeterans are former SLV.Global volunteers who joined our team to get psychology work experience and have the experience of a lifetime. These inspiring individuals have all utilised the psychology-related work experience they gained during their time volunteering with us in different ways to help further their careers and/or progress in their studies. We're so proud of all of our past team members and are consistently impressed by what they achieve. These blogs explore various topics to do with searching for, and gaining, psychology work experience. Many of them relate to how relevant participating in an SLV.Global placement is to a career in psychology, so please read up! Then please apply to join us. We'll wait.